This project was launched in 2008 and here you can find will find more detailed description how was born this car. 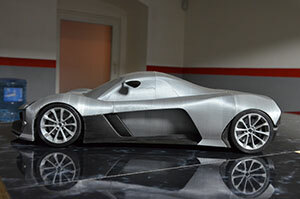 Prototype will be equipped with V8 LS7 engine with race modifications dyno tuned for 701HP and 797Nm. 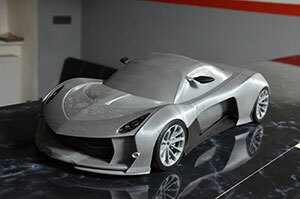 We using 3D printer and 3D printed models for faster implementation of changes during the development and testing before producing the final body.